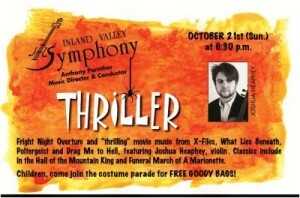 If you missed the Inland Valley Symphony’s Disney concert, you do not want to miss the Halloween Thriller! 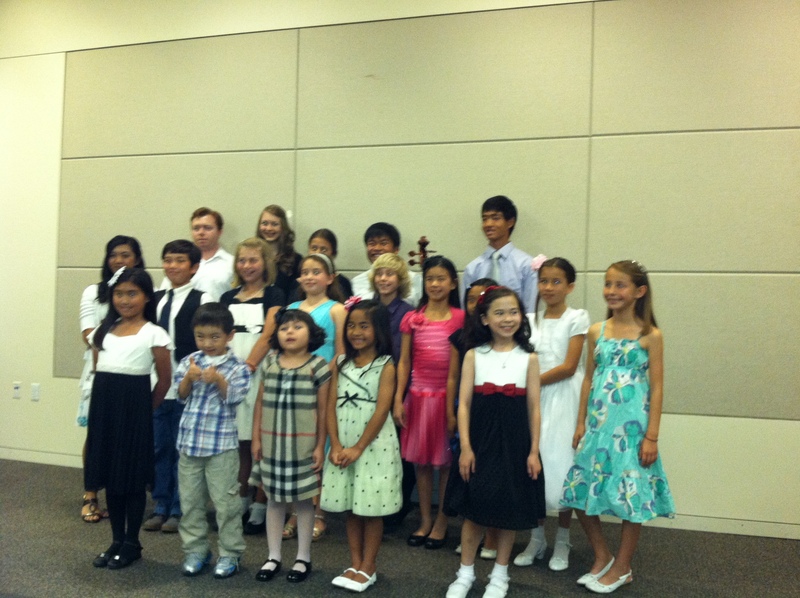 Music from scary movies will be featured: “Fright Night Overture,” “What Lies Beneath,” “X Files” and “Poltergeist.” Classical pieces such as Grieg’s “In The Hall of The Mountain King,” “March To The Scaffold” by Berlioz, and Gounod’s “Funeral March of a Marionette” will also be performed. I am thrilled to play the piano in the orchestra, and look forward to seeing all the children in costumes as they parade onto the stage to get their goodie bags! Hope to see you there!